Super snapper - but will it win over the team? Has the Lumia 1020 won us over? 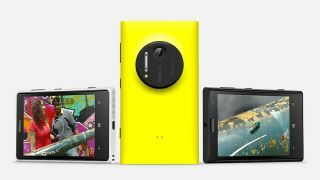 Described by some as "the phone that will save Nokia", the Nokia Lumia 1020 and its insane 41MP camera are out in the open at last. Our full hands on Nokia Lumia 1020 review will be with you soon, but what do your faithful TechRadar writers make of the handset and its photographical nous at first glance? It's been at least half an hour since we received the spec sheet so let's find out, complete with knee-jerk marks out of five.